Papaloquelite, Porophyllum ruderale known as papalo or summer cilantro, is a Mexican and Central American herb. The leaves have a warm pungency like cilantro with a hint of citrus and a more powerful flavor. I recommend using about 1/3 as much papalo as cilantro when preparing salsa and then adjust flavor to your taste. 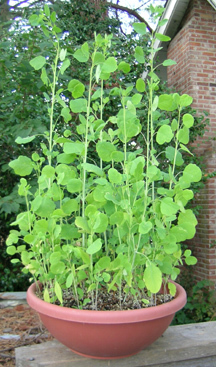 In Mexico, restaurants often place a little vase of papalo cuttings on the table and the diner adds leaves as desired. The use of Papaloquelite “butterfly herb” predates the introduction of cilantro, Coriandrum sativum to Mexico by thousands of years. It’s easy to understand why cilantro with it’s similar flavor was so quickly adopted. It is used for salsas, sandwiches, guacamole, salads or simply sprinkled over rice and beans. The flavor is lost when cooked. This Cornell U website has information on papalo. 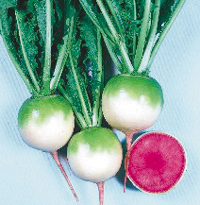 Plants grow in ordinary garden soil with moderate to full sun. This summer mine has grown well in a shallow container and never bolted in summer heat. Today I sowed seeds in a small rectangular container for a windowsill garden. The intense flavor may possibly substitute for cilantro in Indian and SE Asian cooking. If you enjoy cooking with unusual herbs this is one to try. Chopped papalo leaves (1 to 2 tblsp). Take a large skillet, heat and add whole tomatoes and peppers, heating until skins are slightly charred. Rub off skin from tomatoes and chunk. Remove skin from peppers, and don’t be concerned about a few charred bits as they will add flavor. Cut peppers in half and remove seeds and surrounding light colored tissue to temper the heat. Place all ingredients except papalo in a food processor or blender and process only until slightly chunky. Pour into dish and add 1 tablespoon papalo. Taste after five minutes and add more papalo if needed. This recipe originates from Queensland Australia. Sir Joh and Lady Flo Bjelke-Petersen were a tireless and colorful part of this regions history. He served as premier of Queensland for many years. Her constant support advanced his career. 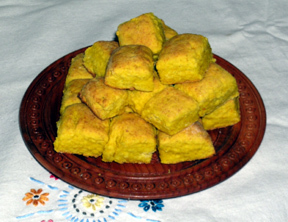 She was known for baking and serving these tasty and most economical scones that are based on Queensland Squash. It’s not hard to imagine scores of locals downing scones and cups of tea and thinking fondly of the premier and his hospitable wife. 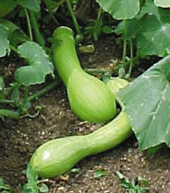 Queensland squash is traditional for this recipe but any winter squash will do. If you use another type and it is fairly dry add one to three tablespoons water or milk so dough holds together and has a pliable consistency. Grease a baking sheet. Cream together butter and sugar until light and fluffy. Add egg and squash and beat well. Sift flour with baking powder and salt and add to squash mixture, stirring until just combined. Remove from bowl and pat out until 1/2″ inch thick onto a floured cutting board. Cut into 1″ squares and place close together on a baking sheet. Bake 15 minutes, until a light golden brown. Remove from baking sheet and serve hot. A little butter, jam and a cup of tea alongside the scones is a small feast.